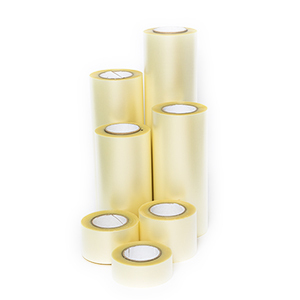 Size: 2" 4" 6" 8" 12" 18" 24" 30" 48"
This is a clear tape that is used for lifting sticky sign vinyl. 11/6/2018 – Hi--is this the strong grip tape? If not, can you please let me know which one is? Response From JSISigns: The order of strength in transfer tapes from weakest to strongest goes, Paper Transfer tape, Clear Transfer Tape, Gridded Transfer Tape. 10/24/2018 – How many feet long? Response From JSISigns: 300 ft.
From Anonymous of FPO, Armed Forces Europe/Middle East/Canada on 8/8/2018 . This transfer tape is awesome. Just to clear up any confusion, it is not paper as the description states. It is a clear tape as titled.